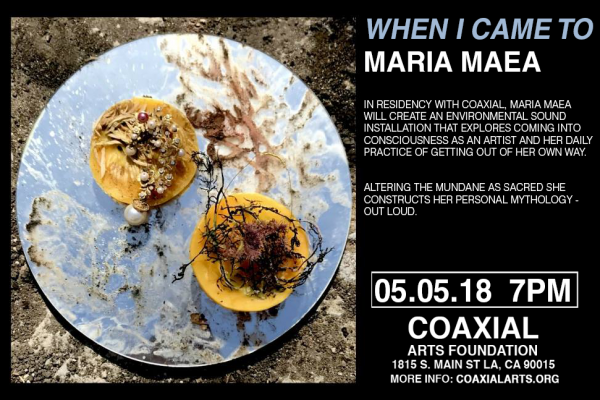 In residency with Coaxial, Maria Maea will create an environmental sound installation that explores coming into consciousness as an artist and her daily practice of getting out of her own way. Altering the mundane as sacred she constructs her personal mythology – out loud. Maria Maea is a Los Angeles sound + performance artist making objects.